The N7700SAS comes loaded with Intel® Core 2 Duo technology for breakthrough speed and performance. With the N7700SAS, business users can enjoy increased concurrent connections and lightning-quick system response. In business, having access to mission-critical data at all times is crucial. The N7700SAS is equipped with a dual Disk On Module (DOM) design to ensure flawless operation and maximum uptime. 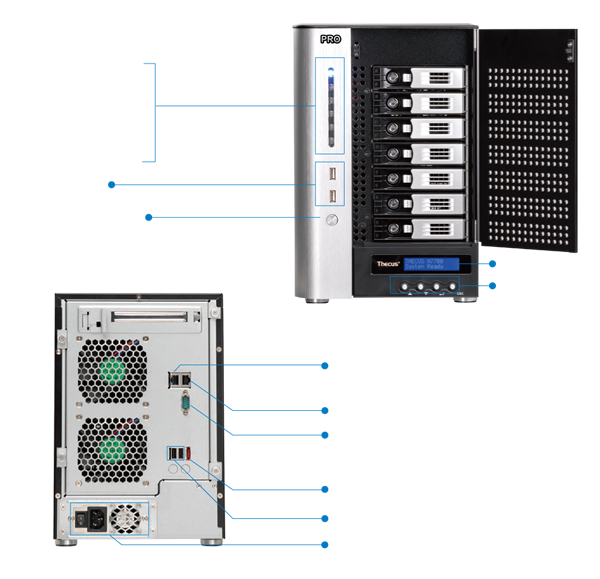 Enter a new generation of data performance with the N7700SAS. This seven bay wonder provides full Serial Attached SCSI (SAS) hard disk support for ultra-fast data throughput. Every business needs to be able to rely on their data. 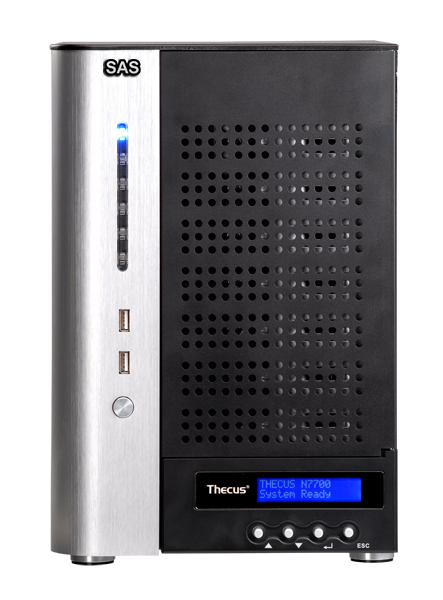 For these users, the N7700SAS and its multiple RAID modes make sure that data is protected at all times. To allow for integration in to virtually any corporate network, system administrators can choose among several file systems, including Ext3, XFS, and ZFS. 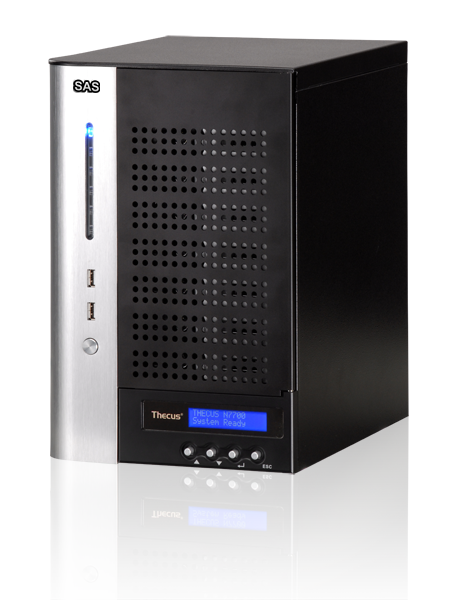 Also, the N7700SAS provides compatibility with iSCSI initiators for excellent data transfer speeds. 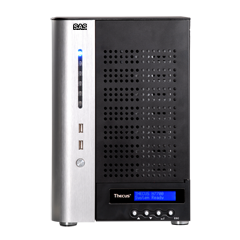 Thecus®, the leader in digital storage, today announced the availability of its latest 7-bay NAS server, the N7700SAS. 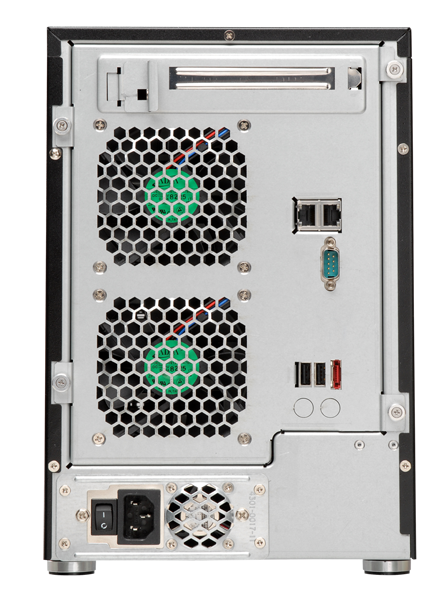 Offering massive storage capacity and cutting-edge technology, the N7700SAS is an enterprise class NAS server providing incredible flexibility, reliability, and expandability. 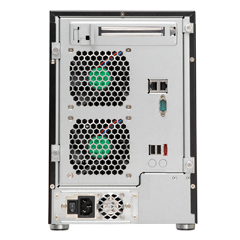 The N7700SAS brings the latest technologies to the table, including seven SATA/SAS hard disk bays that accommodate multiple terabytes of storage. To manipulate all of this data, an Intel® Core 2 Duo processor and DDR2 memory allow for more concurrent connections and quicker system response. 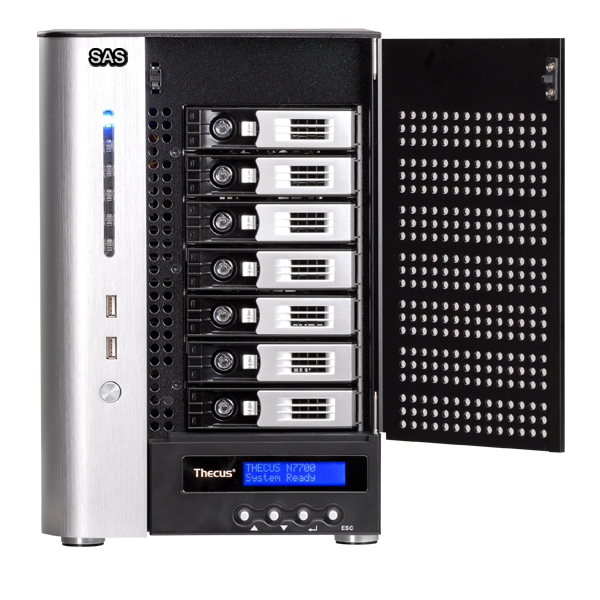 For data protection, the N7700SAS lets you choose from a wide selection of RAID modes, including RAID 0, 1, 5, 6, 10 and JBOD. 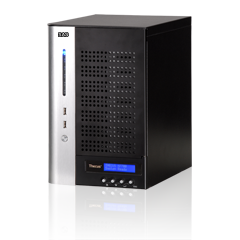 The N7700SAS also supports multiple RAID volumes, enabling system administrators to choose the right combination of RAID volumes for the network. 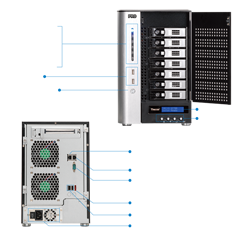 Should changes need to be made, the N7700SAS also features online RAID expansion, online RAID migration, and auto rebuild for maximum flexibility. Speaking of flexibility, the N7700SAS supports multiple file systems, including XFS, EXT3 and ZFS. Users can select the system that they require and create the needed capacity for different applications. For those who require even greater performance, the N7700SAS supports iSCSI initiators, which means that businesses can enjoy blazing file transfer performance over Ethernet without the hassle and expense of fiber-channel. N7700SAS also features with dual-DOM design, an extra DOM is installed to ensure continuous and flawless operation on the unit. Users do not need to worry about down-time due to unexpected system failure.